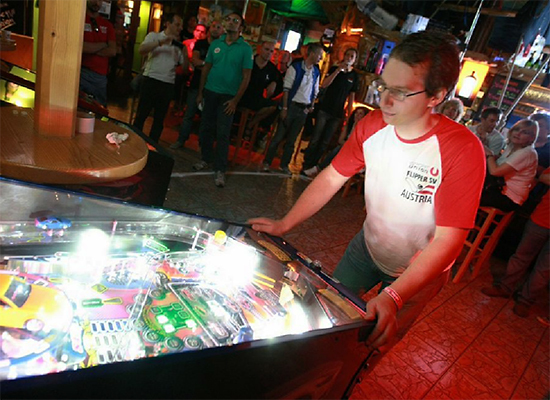 A large number of pinball events have been taking place in Austria over the last few years, and the biggest of 2014 was the Austrian Pinball Open 2014 (APO 2014) held on the 20th September near Graz. 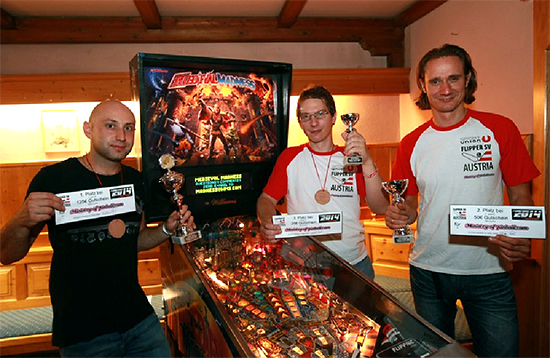 It was also the biggest pinball event Austria has seen so far. The 89 participants met near Graz, the second largest city in Austria in the southeastern state of Styria. 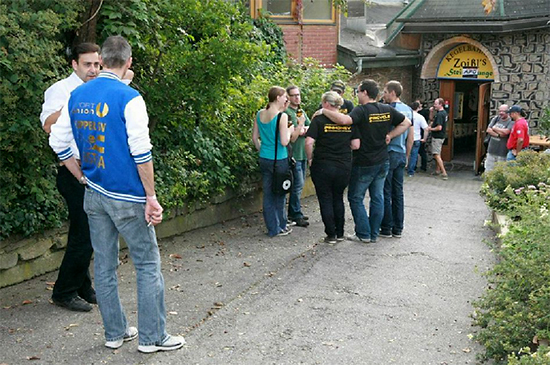 The venue was Gasthaus Steirerlounge Zoißl - a typical Styrian tavern, operated by the Zoißl family. Typical local dishes could be ordered during the day, while at night you could party at the disco. 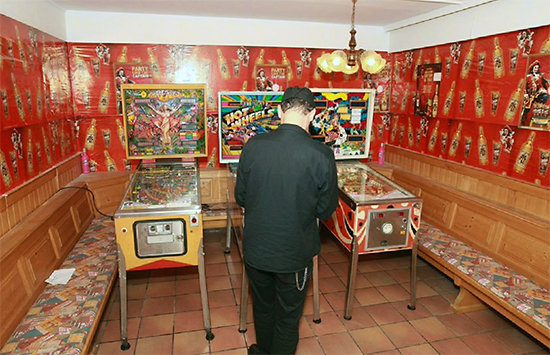 They also have a skittle alley and a number of on-site guest rooms were available. 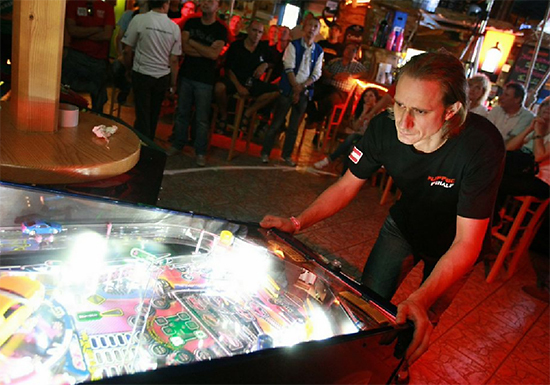 The Austrian Pinball Open 2014 was organized by the Styrian Pinball Club, Flippnic, with the support of Austria's National Pinball Sport Association, Union Flippersportverein Austria (Flipper-SV). 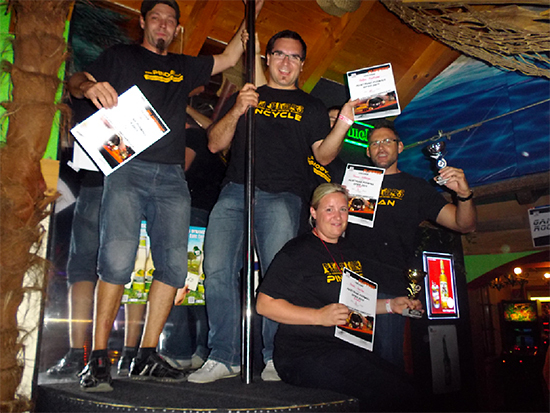 The APO 2014 was also the 12th event of the 2014 IFPA European Championship Series. 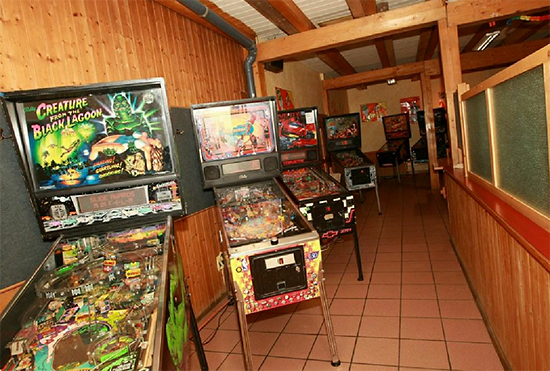 Flippnic was founded by Sandra and Bernd Prucher and had arranged for over sixty pinball machines to be brought to this location. 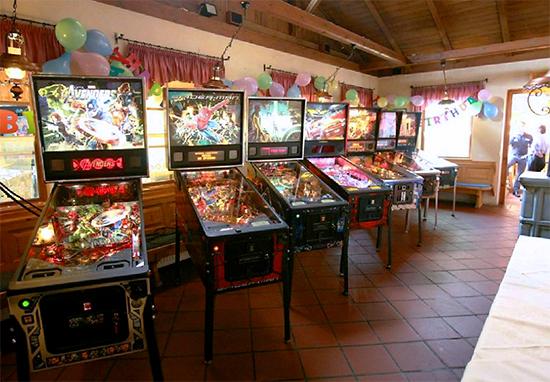 The machines were located in six different rooms around the tavern. 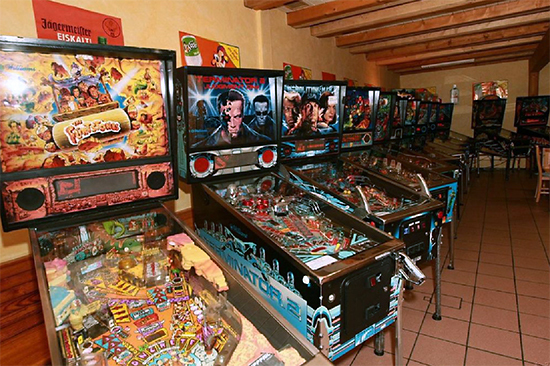 Around fifty of the machines were supplied from the private collection of the Prucher family, six new machines - including Mustang LE, Spider-Man and AC/DC Luci - were supplied by the Austrian pinball dealer Nigelhell. 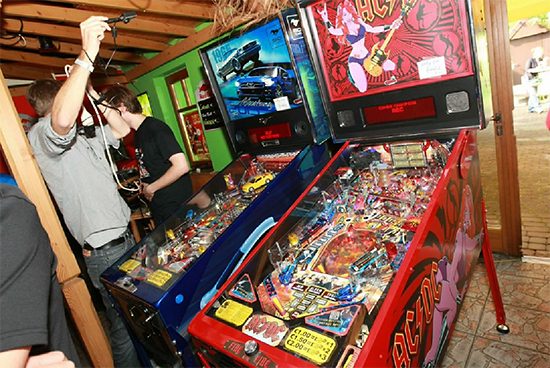 The remaining machines were brought by various members of Flippnic. 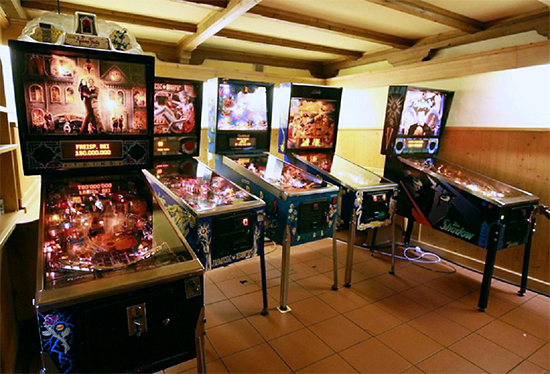 With this many machines, it was no problem to hold a tournament with 89 competitors. Some additional machines were also placed in the kitchen area as a side room, in case they were needed. 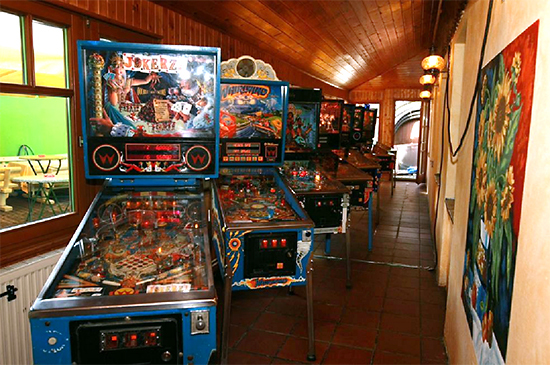 There was a wide range of machines from the seventies up to the present day. 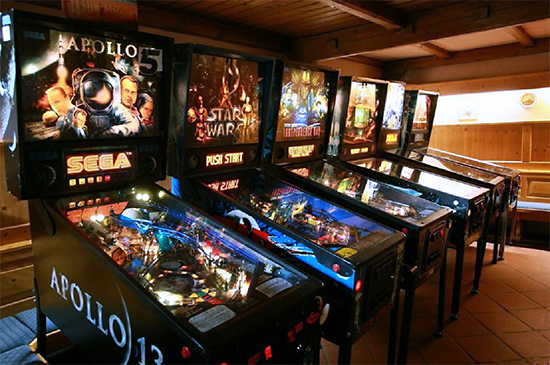 Stardust, Funfest and Jubilee were used for the side tournament, while elsewhere there were System 11, Data East, both Pinball 2000 and classic Williams/Bally machines such as Medieval Madness, Cirqus Voltaire, The Addams Family available, along with brand new Stern titles such as AC/DC Luci and Mustang LE. 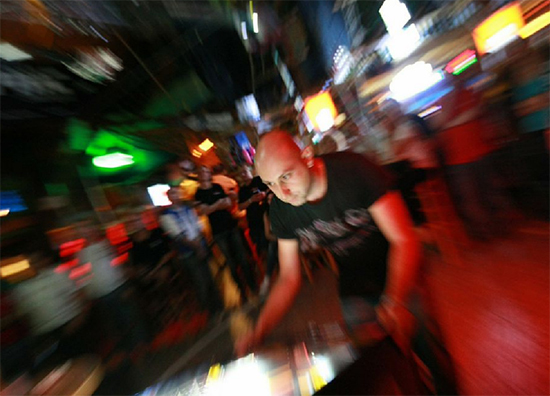 Several top players from across Europe attended and enjoyed the tournaments, such as Daniele Celestino Acciari (Italy), Markus Stix (Austria), Michel Dailly (France), Stefan Herold (Germany), Janczyk Martin (Poland), Laszló Hórn (Hungary), and even one from Japan. The whole on-site organisation, as well as all the logistics of the event, were handled by Flippnic, its founders and members. 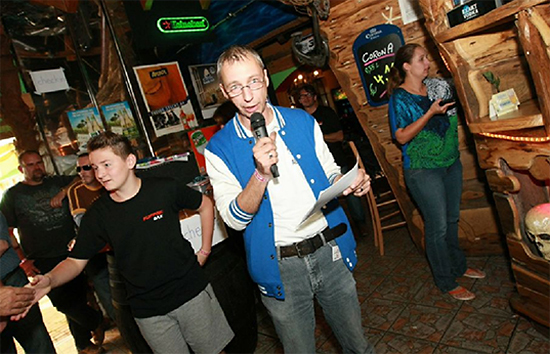 Moderation of the event was undertaken by the founder of the Austrian National Pinball Sport Association, Gabor Varga. Flipper-SV also provided support for the registration (via its home page and its payments), public relations, and a lot of other areas too. Registration for the tournament started at 8:30am and the tournament itself began at around 10am. After an introduction of the rules and schedule in both German and English, the first four rounds were played before lunch time, which was between 1pm and 2pm. A lunch buffet was available on-site for those who ordered it in advance, with either vegetarian or non-vegetarian food. Enough was prepared and kept warm during the second part of the event that people could take some additional food later in the day. 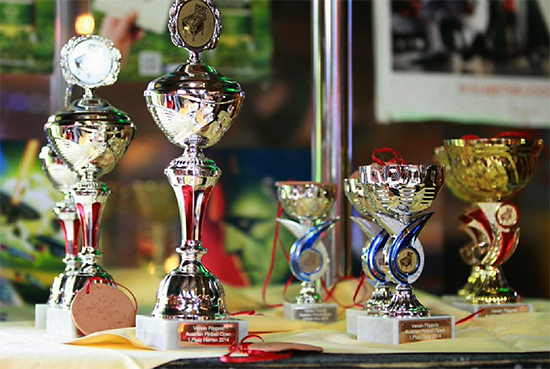 At 2pm the remaining eight rounds of Swiss tournament began. 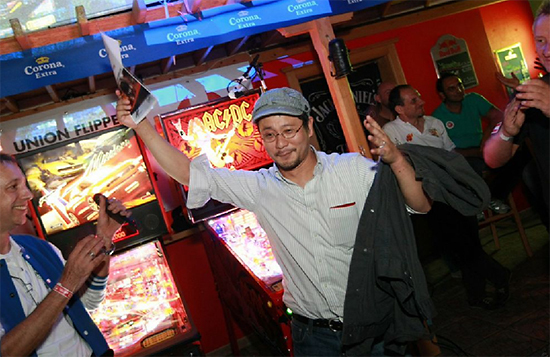 The first eight positions after the twelve rounds had qualified for the final rounds which were shown on a big screen like everybody has seen at the PAPA tournaments. 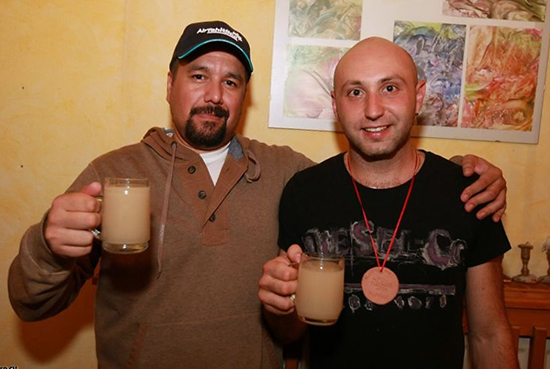 The top two qualifiers - Daniele and Markus - received a bye straight into the final. In the first semi-final, the 3rd and 4th placed qualifiers played on Mustang Pro for the third final place, which was won by Cesare Datri. 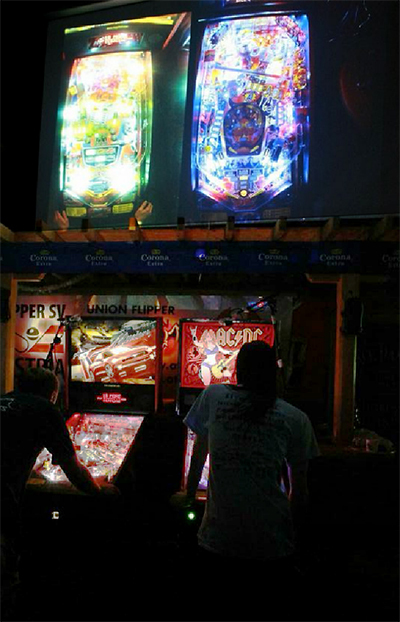 In the second semi-final, the 5th to 8th placed qualifiers played a game on AC/DC Luci for the fourth place in the final. 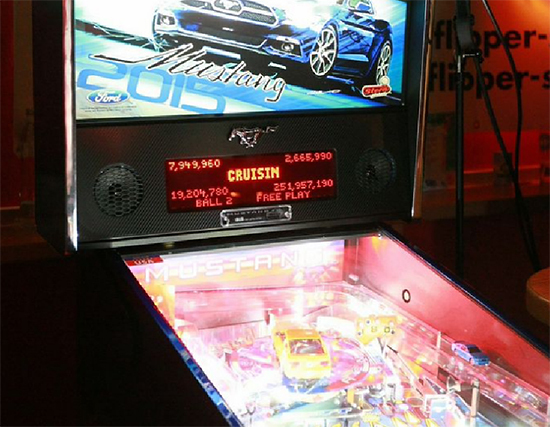 On the second ball, the AC/DC developed a switch error, so a new game was started on the Mustang Pro instead. 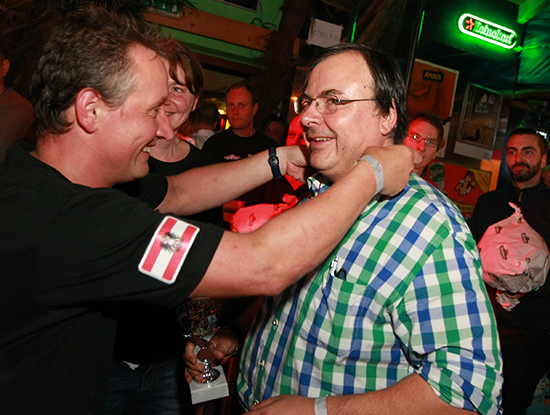 From the four players, it was Roland Schwarz who made it into the final. 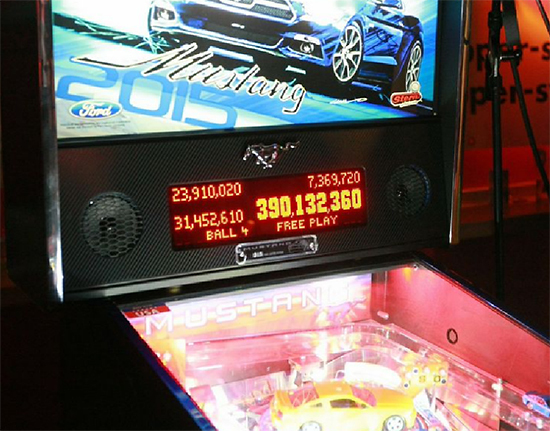 So the final four players had to play a 4-ball game on a brand new Mustang LE which was unboxed just before the final game. 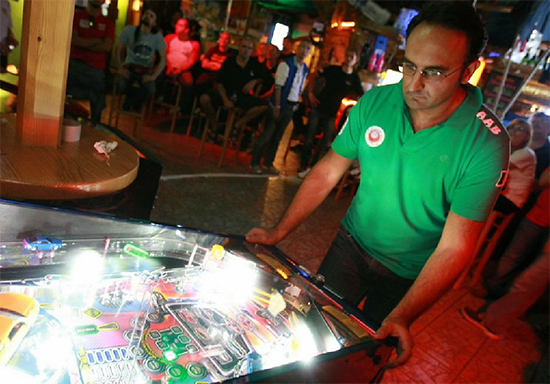 Each player had thirty seconds prior the final to get a little familiar with the machine, because it was new-in-box and they had no chance to play the game earlier. Already after the first ball everybody was thinking Acciari Daniele Celestino could not be separated from the machine, as if he was a part of it. He already had over 251M points and this alone would have been enough to win without his other three balls. By the end Markus Stix was in second place on 31M, Roland Schwarz was third with 24M and Cesare Datri fourth on 7M. 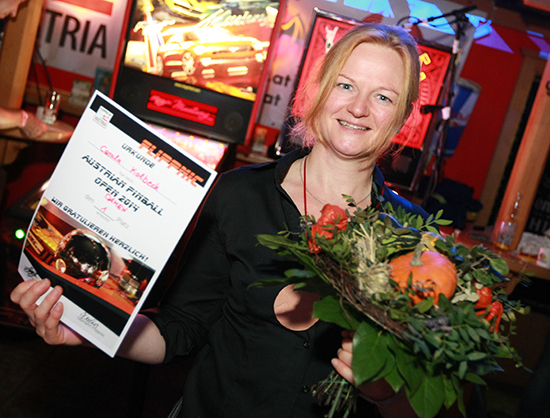 In the Ladies Tournament, Carola Kolbeck was the winner. 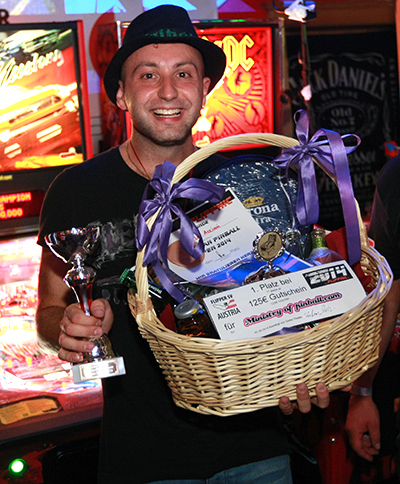 The side tournament, played on Funfest, Jubilee and Stardust was won by Gerald Prucher. Full results for the main and side tournaments can be found on the IFPA website, while more pictures and details of the APO 2014 are available on the Flipper-SV website.